If your website is not mobile friendly, you could be missing out not only on traffic and potential customers, but on the future of the internet. 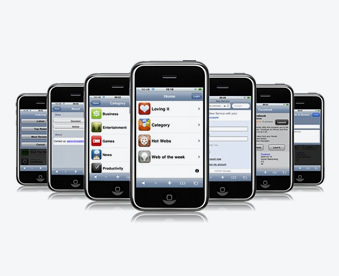 Mobile technology for your business! More than 25% of mobile phone owners around the world have browsed the Internet via a mobile handset. Market research agencies are speculating that mobile web browsing might become the next dominant Internet platform. For many consumer-driven companies this means that having a mobile site version is ideal when people are accessing information on the move. Software Island offers mobile website development services that design and develop mobile websites to expand your business presence to the mobile web users. With our mobile expertise, we develop mobile compatible websites that streamline your content and deliver it to your scattered target audience easily. Usually websites appear to be all jumbled up or are very difficult to navigate through, when accessed via a mobile phone or a smart phone. At Software Island, we offer top-notch mobile web design and development services to help you reach your scattered target audience and which can be easily accessed on smart phone browsers such as the iPhone/iPad, Andorid and Blackberry. At Software Island we have an experienced Mobile Website Developers, who can identify various mobile browsers and tailor the content to fit in most mobile browsers. Analysis of the existing website and identifying the most important and making it compatible for the mobile browsers are two of our key features.